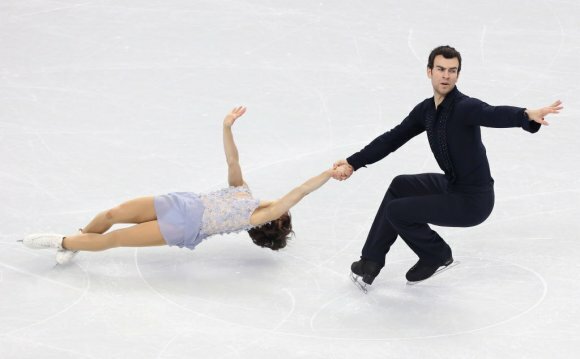 American Olympian Polina Edmunds hopes her performance in rallying to win the Four Continents championship in Seoul, South Korea, on Sunday sends a message to the rest of the figure skating world. Especially the powerful Russians. Edmunds, who came into the free skate in fourth place, hit the wrong edge on an early combination, but she landed most of her other big jumps, including a late combo. The 16-year-old from San Jose, Calif., finished with 184.02 points. The Four Continents provides a gauge for skaters headed to next month’s world championships in Shanghai, but it doesn’t include powerful European skaters such as the Russians. Edmunds finished ninth at the Sochi Games in her first senior international competition. She believes her showing here could provide a springboard for worlds. Satoko Miyahara of Japan, first after the short program, took silver with 181.59 points. American Gracie Gold finished fourth . US champion Ashley Wagner decided to sit out the event. The Russians certainly will be a focus at worlds. They include Elizaveta Tuktamysheva, who won gold at the European championships, and Elena Radionova and Anna Pogorilaya, who were second and third, respectively. Russian Olympic champion Adelina Sotnikova, who has had an ankle injury, hasn’t skated in international competition since beating South Korea’s Yuna Kim for gold at Sochi — a victory that caused heated debate over the judging. Alpine skiing — Jean-Baptiste Grange of France won the men’s slalom title at the world championships in Beaver Creek, Colo., after first-run leader Marcel Hirscher of Austria straddled a gate in deteriorating conditions. Trailing by 0.88 seconds heading into the final run of the last race, Grange had no trouble with the low visibility as he finished in a combined time of 1 minute, 57.47 seconds. Fritz Dopfer of Germany was second, 0.35 seconds behind, and teammate Felix Neureuther earned bronze. American Ted Ligety finished 21st, 3.84 seconds behind Grange. Speedskating — Brittany Bowe took gold in the women’s 1, 500 meters at the single distance world championships in Heerenveen, Netherlands. Defending champ Ireen Wust was second and Bowe’s teammate Heather Richardson finished third. Bowe won in 1:54.27. Pavel Kulizhnikov of Russia won the men’s 500, finishing first in both heats, to cap a dominant year in the sprints. The Netherlands won both the mass start races, with Arjan Stroetinga taking the men’s race in 7:30.64. Irene Schouten won the women’s race in 8:38.23. Cross-country skiing — Marit Bjoergen won the overall World Cup title with four races to go when she finished second in the women’s 10-kilometer race in Ostersund, Sweden, while Finn Hagen Krogh won the men’s 15-kilometer event. Sweden’s Charlotte Kalla cruised to victory in the women’s event, finishing in 23:26.1. Krogh finished in 32:46. Freestyle skiing — Jean-Frederic Chapuis of France earned his first World Cup victory of the season by winning a skicross race in Are, Sweden, while Anna Holmlund of Sweden climbed atop the podium for the first time since 2011. Ski jumping — Severin Freund won a ski flying event with 436.7 points in Vikersund, Norway, while Anders Fannemel set a world record by soaring 251.5 meters in the first round. In the women’s event in Ljubno, Slovenia, Daniela Iraschko-Stolz of Austria and Sara Takanashi of Japan tied for first, meaning the two will fight for the overall World Cup title in the final competition of the season next month. The two rivals both earned a total of 244.9 points to beat American Sarah Hendrickson by 1.1 point in the last warm-up for next week’s world championships. Bobsled — Oskars Melbardis piloted the Latvian four-man crew to a winning time of 1:50.03 over two World Cup runs in Sochi, Russia. Skeleton — Russia’s Alexander Tretiakov earned a World Cup win in Sochi, posting a time of 1:52.4 over two runs.